Jaafer Haidar's thoughts and rants on the digital world. In case you haven’t heard of Popcorn Time, here’s a quick rundown of what it is: (1) Install an app (2) Open the app and get free, brand spankin’ new movies and TV shows. That’s it, magic. No waiting for new releases or hunting Netflix for the good stuff, all the latest and greatest right there at your fingertips. Make no mistake it is still downloading content in violation of copyright laws so beware. The difference is that now anyone can get these movies as easy as it is to fire up Netflix and in an interface just as nice. How can this be so? Well, legally it can’t. 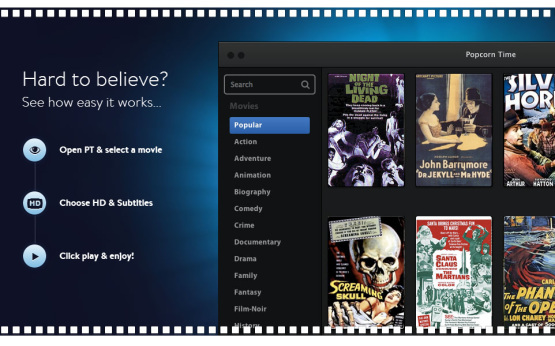 Popcorn Time is the easiest way ever to get torrent content; those new movies people you knew (not you!) used to somehow download from the internet are now right there is an easy to use, beautiful app. The kicker is that unlike the music industry which went after Napster for enabling the consumption of music without paying for it, the scary part for Hollywood is that Popcorn Time is an open source program meaning anyone can download and run the code. There is no ‘company’ to go after so the only way to stop it short of going after every person is to go after the torrent sites, a battle that has been failing since the dawn of the internets. The original creators backed away from the project, it disappeared for a day and then roared back as new groups picked it up and have greatly expanded the offering with more content, launched an Android app, and even added Chromecast support. All this is less than two months. The rise of Popcorn Time is due to the simple truth that people want to watch the newest content without waiting for it or figuring out where to get it. Make it easy to find and consume and people will flock to your service. While Popcorn Time had Oscar winners Frozen, American Hustle, 12 Years A Slave, and more, in Canada the new arrivals on Netflix last month included the first two Bourne movies. Seriously. What this all means is that the multi-billion dollar movie industry that relies on a business model centred around content rights and availability windows is being massively disrupted and there is little that can be done (remember, there is no company to go after). The scary part is that if Popcorn Time caught on to mass adoption and studios felt the pinch then it could spell doom for great content since it’s the money made from all of these rights dealings that pays for the movies we enjoy. As a consumer its great to get free new movies, but what happens when those movies stop getting made? Just like their music industry brethren, studios are scrambling the but ultimately there is no stopping this train. The good news is that unlike the development needed to establish music downloads and streaming; iTunes, Netflix, Spotify and others are now in place and widely used. There is no user behavior chasm to cross, all that needs to change is the rules. All of this is easier said than done. The entire music industry pulled in $15B last year worldwide from recorded music sales while global box office sales totalled $35.9B. Those numbers don’t include what HBO, Netflix, Hulu and others pay for the right to carry content which again outpace what music services must pay; Netflix is rumored to be paying Disney $300M for the rights to its catalogue and getting no new movies until 2016! The good news is that the highest revenue growth is from these streaming services and so the negotiating relationship is shifting. With Popcorn Time putting pressure on Hollywood and in position to jumpstart a potential death spiral for Netflix these two bedfellows should align as the enemy of the enemy becomes a friend. Given the choice to get what we want most of us will gladly pay a fair price for it. It’s when we’re not given the movies we want but feel we’re entitled to, business models be damned, that we are more likely to use something like Popcorn Time and face the chance that a studio lawyer will pick us out of the millions to march to court. It is a mammoth disruption with billions at stake but eventually we will all be able to get the latest and greatest movies and TV shows through our favorite streaming service or downloaded on iTunes or something like it. It’s easy to envision Netflix adding a Premium subscription plan that costs more than the regular but offers new content. Walk of Shame which stars Elizabeth Banks opened last weekend and was simultaneously released on iTunes and Pay TV . It did horribly at the box office and rocketed to #1 on iTunes. The shift has already begun, grab the popcorn and enjoy. 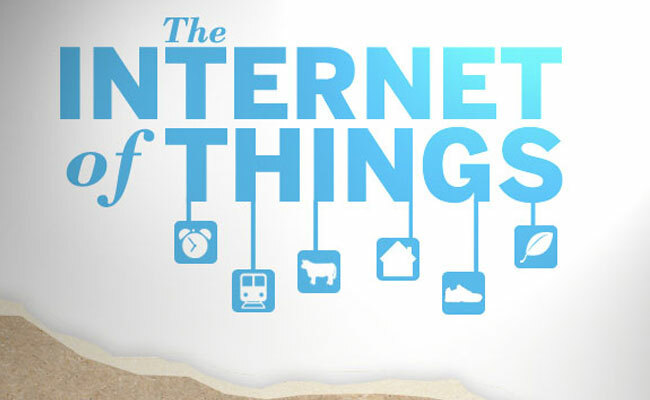 If you work in any company or venture connected to technology than by know you’ve realized that the next frontier is the internet of things (IoT); namely that so many things we use everyday will be connected. What started with computers, morphed to phones and tablets, and found its way to TVs, and more recently wearables (wristbands, watches, etc.) will now pollinate to cars, appliances, and more. It’s the natural order of things. What may be implicit but hasn’t been discussed is that all of these things will rely on one thing you use and can’t live without, the phone that lives in your pocket. The worst kept secret that Apple and Google are in a land grab for the automobile world largely broke this week with Apple’s announcement of CarPlay and Volvo showing a video demo to the world (below). Add Google’s announcement of the Open Automotive Alliance and the battle is on. Auto makers are hedging their bets, many planning to offer both Apple and Android inside their cars and for good reason. iOS and Android have proliferated to the point where its a neck-and-neck two-horse mobile race (sorry Microsoft, Blackberry, others) and therein lies the advantage. No matter what thing is connected, they will all be an extension of what is running on your phone. CarPlay and undoubtedly Google’s offering (possibly called projected mode) will be a second screen manifestation of what you have on your phone. Think of it as AirPlay and Chromecast; you can enjoy the things you do on your phone in a more auto-friendly way on a beautiful nice screen. If you’re working in a company or thinking about starting an auto-focused infotainment system or app you should think twice. The internet of things will all be tied back to control from the smart phone, not device specific implementations across the spectrum of devices. For consumers it means that all of your devices could (in theory) work seamlessly, extending your experience (whether powered by iOS or Android) to all the connected things you care about. For developers it provides more consumer touch points. For Apple and Google its a battle to the death to become an increasingly integrated part of our lives. Something we couldn’t walk away from if we tried, all monetized through the services on these devices that bring us search, ads, and apps. At the D Mobile conference last year I asked Eric Schmidt how Google views the connected home. His response was “Google thinks of Android as the OS for all connected devices, everything from a tablet to a toaster.” Its happening and in the future, when you ask your toaster who has a special on bread it will point you to a store in your neighborhood. Your car will tell you the closest place near by. Your phone might send you to the website. And Google will get paid. Pure genius. Back in October I wrote a guest post on VentureBeat that argued in favor of an HTML5 DRM solution, something that will unlock premium video from the device and allow us to watch all the likes of Game of Thrones anytime, anyplace online. Well, that day may finally be upon us. Netflix has been working to make HTML5 DRM a reality and has today announced HTML5 playback support for Samsung ARM Chromebooks. This is big. “Over the last year, we’ve been collaborating with other industry leaders on three W3C initiatives which are positioned to solve this problem of playing premium video content directly in the browser without the need for browser plugins such as Silverlight. We call these, collectively, the “HTML5 Premium Video Extensions”. Media Source Extensions (MSE): Enables Netflix to serve content from the best content delivery network at the time, include failover, and manipulate how content is streamed based on available bandwidth. In English it means serving a video stream the most optimal way to ensure its fast and consistent. Encrypted Media Extensions (EME): Here’s where it gets interesting. This extension enables Netflix to “control playback of protected content”, enabling shows that studios were afraid to stream on the web with Flash or Silverlight (dead and dying respectively) to now be distributed on the web and not only in native apps. The most interesting aspect here is that the extensions specification specifies “how the DRM license challenge/response is handled, both in ways that are independent of any particular DRM” meaning support for a variety of DRM systems in the browser, not locked to any one provider. 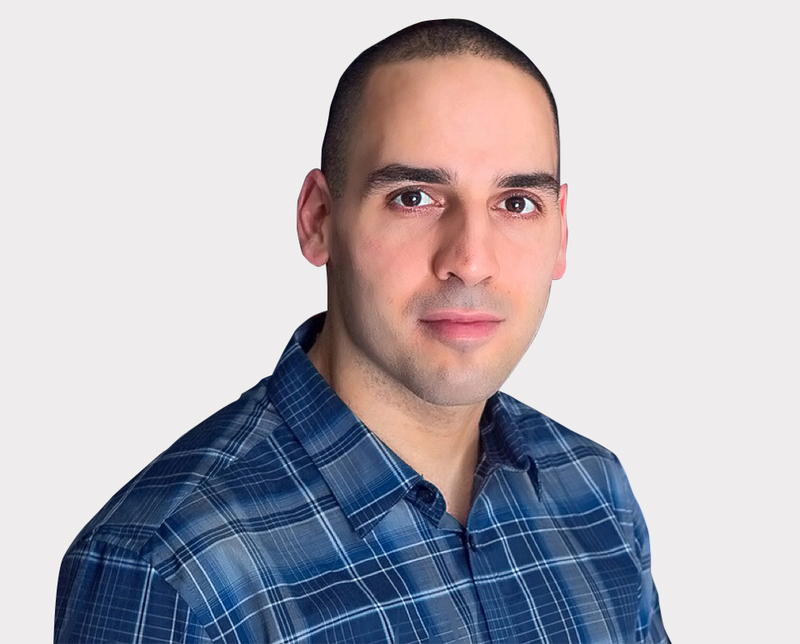 Web Cryptography API (WebCrypto): This is the layer that makes sure data travelling back/forth between the browser and Netflix’s servers stays protected and secure. Netflix notes, “this is required to protect user data from inspection and tampering, and allows us to provide our subscription video service on the web.”. Taken as the sum of their parts it means: Serving video effectively, respecting digital rights required/enforced by studios, and maintaining security in transmission. What it all comes down to: We can soon look forward to watching the shows we know and love; premium content like Game of Thrones, Breaking Bad, and blockbuster movies through any web browser. No more being tied to a device that has downloaded plugins or apps. It’s ironic to say that the advent of a system that restricts playback based on rights is enabling content freedom but in my view that is the case. Only the truly delusional think that HBO, AMC, and Hollywood studios are going to hand over the content to be shared without any economic benefit (like requiring a subscription or download payment). If they did they’d go out of business fast. Once WebCrypto is available through the Chrome browser…that’s the key. Once this API is baked into Chrome, which is in Google’s best interest, it will get baked into competing browsers and usher in the reality of premium content distributed on the web. We’re not there yet but its closer than ever and like I said in that VentureBeat post, it’s inevitable. A lot is being written recently about TVEverywhere, the initiative being led by Comcast and Time Warner Inc. to provide the same great programming we enjoy on our TV sets online, but on a subscriber basis; if you’re a cable/telco subscriber than you can get the same programming online through the respective company portals. If you’ve never heard of TVEverywhere check out NewTeeVee’s write-up. Comcast is actually calling their effort OnDemand Online and along with TW have begun trails. This is a big initiative. Real BIG. It’s difficult enough for a large complex company (like a cable or telco) to implement their own authentication, single sign-on, or video asset management and supply chain system (trust me, we’ve done it), but to do it in conjunction with another big industry player? Summon the rabbit foot. I’m not saying it won’t happen; on the contrary I believe it definitely will. It’s the last stand. It started with torrents, then pirated video on YouTube, then legitimization through Hulu – but the operators are still left out in the cold. All efforts to provide the programs and movies we know and love over the web, have been what are called ‘over the top services’; content and services provided on the web running on the network we call the internet. The network (read web) is provided to us by the Internet Service Provider; usually your local cable or telco provider. We pay them for access but they don’t get a cent from what we actually buy or watch online. It’s the same thing as paying for utilities; you power company doesn’t get a cut of the light bulb you buy at the store. You power company is the ‘dumb pipe’. Today’s cable/telco are fighting not to become a utility. TVEverywhere (or similar efforts by Verizon and AT&T) will either make the pipe smart or dumb. The promise of TVEverywhere is that you get online what you already pay to watch on TV. But will it work? Whether legal or not, the fact is you can find almost any TV show or movie online or on a P2P network. The number of people canceling their cable service and simply watching online grows daily. With the ability to simply connect your computer to your TV, or stream directly to your TV, it’s a great way to save $50-$100 a month. If I want to go all legal then I can go to the ever-increasing content catalog at Hulu, licensed content on YouTube, or even directly to network or cable channel websites (I can watch a lot of Seinfeld on TBS.com) – all ‘over the top’ services where studios publish direct to consumer, bypassing network providers. People are canceling their cable/satellite services; they can get content without them. But, it’s a pain. People are inherently lazy. Some of us actually like working, some go to the gym regularly, and some climb mountains; but the vast majority want things nice and easy (it’s the reason the drive-thru was invented). We don’t want to search the web for our shows; we want to turn on our TV and get everything easily. Can you imagine a world where all content we have is paid for with money generated by online ads? I don’t think that $25 CPM is going to pay for the new season of 24. Hulu is doing a great job of monetizing content but I submit that the reason studios can afford to monetize on Hulu is because they’re making the real money on TV. Without TV, Hulu can’t survive. The wild card is still the cost of bandwidth, and the ability for ISPs to make costs viable. Net neutrality concerns aside, ISPs could hamper competing ‘over the top’ services by requesting they pay to have their service streamed on the good part of the pipe (i.e DOCSIS 3.0). You want to use our pipe and take our customers? Pay me. How things shake out will depend on the same group that always has the last say: Us. Where, how, and when we get our video will shape the future of the industry. You’ll be able to get your movies everywhere, so keep the popcorn hot and take your pick. So today is finally the day. After being re-scheduled, debated in Congress, and some unwarranted anxiety TV goes all digital today in the U.S.! Bottom line, unless you have ears sticking out of your set (i.e. you have cable or satellite) you’re already digital. 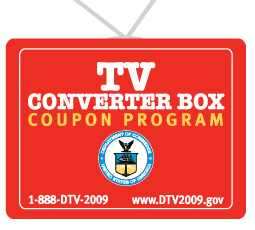 If you do have an antenna and waited until the last minute to get your coupon and go get the box! What happens now? The big significance is more wireless specturm. So, more wireless hits the grid while the TV world keeps trying to innovate and figure out how to keep you glued. Thanks for stopping by. I've started and helped grow 4 companies, and learned a lot of lessons along the way. Currently I'm part of the team at Brightspark Ventures and co-founder at Socialseek. When not neck deep in this tech stuff I'm usually going full tilt at a sport and trying not to hurt myself. Life is a gift and I'm thankful to get to do what I do everyday.